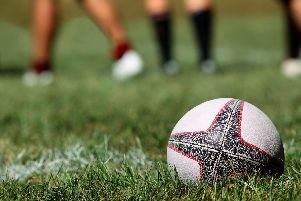 Bentley ARLFC will have to do it the hard way if their Coral Challenge Cup adventure is to continue beyond this weekend. But they have extra incentive to sidestep West Hull – a potential third round clash with Doncaster RLFC. “That's massive for the lads,” admitted head coach Andy Whitfield. “They all said from the beginning how good it would be if we could play Donny. Bentley produced a spirited performance to beat the Army 18-16 in their first ever appearance in the first round last month. The second round draw was not kind, pairing the Doncaster club with last season's National Conference Premier Division grand finalists. But Whitfield has warned West Hull that his players are not about to just roll over. “West Hull and Hunslet Club Parkside are always right up there when it comes to league and cup honours,” he said. “Hunslet got knocked out so this was probably the toughest draw we could've got. “It'll be tough but we'll be up for it. They won't have it all their own way. “We're capable of beating them on the day. “I think it's a case of going there with the same belief, mentality and work rate we showed against the Army. That will go a long way to getting a result there. Whitfield had described his team as underdogs in the previous round. “As a group we knew we could do it,” he said. “It was just a case of playing it down a bit. “I think our pack really set a good platform to work from. Bentley look set to be backed by around 200 travelling fans.